Indian women, due to a high-stress lifestyle are being more prone to heart attacks, the symptoms of which are often ignored or misread, says a recent study. More Indian women are being susceptible to heart attacks as symptoms are being ignored and fast lifestyle is adopted. A survey by diagnostic chain SRL Diagnostics revealed that 48 per cent women in the age group of 46-60 years had the highest level of abnormality in the lipid profile tests — the number one cause of death globally and in India. A lipid profile test measures the amount of cholesterol present in lipid carrier proteins like low-density lipoprotein (LDL), high-density lipoprotein (HDL) and fats (triglyceride) present in the blood and determines the risk of cardiovascular diseases (CVD). The analysis is based on more than 3.3 million lipid profile tests performed at SRL diagnostic labs across India between 2014 and 2016. The survey also stated that nearly 50 per cent of women in India live with an abnormal cholesterol level, an alarming indicator of the risk of their being prone to cardiovascular diseases (CVD). “In India, cardiovascular disease is the number one killer of women. It’s an alarming situation as heart attacks appear differently in women than men and it is relatively more fatal in the post-menopausal women than it is in men,” said Avinash Phadke, President, Technology and Mentor (Clinical Pathology) from SRL Diagnostics, in a statement. High intake of saturated fat, sugar and salt, low consumption of vegetables and whole grains, coupled with sedentary lifestyles, rising stress levels and smoking are the major contributory factors for deterioration of heart health in women in India, Phadke added. The analysis showed that the majority of both men and women reported chest pain, pressure, tightness, or discomfort as their main heart attack symptoms. Yet, women were more likely than men to report other associated symptoms of heart attack, such as indigestion, shortness of breath, palpitations or pain in the jaw, neck, or arms. Women were also more likely to perceive their symptoms as stress or anxiety, and were more likely than men to report that their healthcare providers did not think that their symptoms were heart-related, the researchers said. Meanwhile, social media is abuzz with statements that are claiming that it was the sudden weight loss that triggered a heart attack in Sridevi, the famous Indian film actor and Bollywood superstar, as previous forensic reports showed that she died of a heart attack. Senior medical experts say a sudden cardiac arrest from attempts to lose weight would be considered “highly unlikely” and not something they would expect. Dr Ruman Ganguly, a cardiologist from Pune, says, “It is highly unlikely for someone to have had a heart attack due to rapid weight loss. Though it may so have adverse effects on the body, but scientifically it is least likely to be the cause of heart attacks. Dr Ganguly also states that a stress-induced fast lifestyle is making women adapt to unhealthy practices like high-consumption of preserved food, smoking, excessive drinking that aggravates factors that lead to a heart attack. 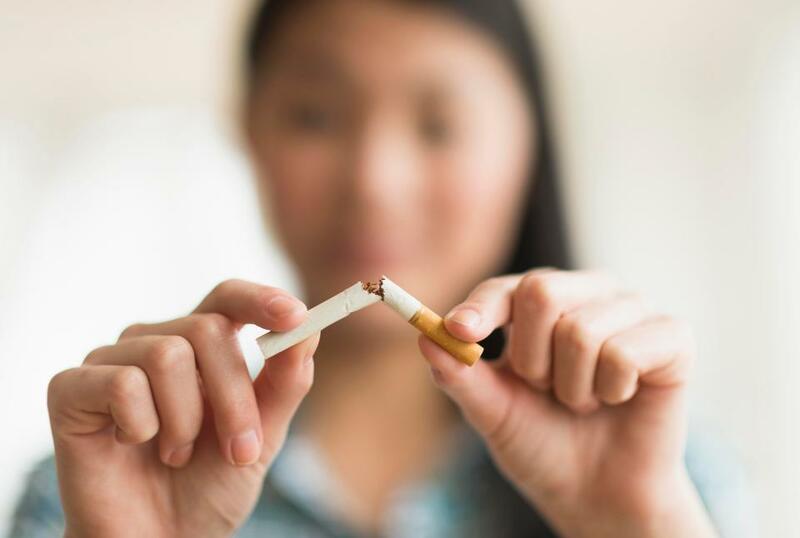 British Heart Foundation states that smoking damages the lining of your arteries, leading to a build-up of fatty material (atheroma) which narrows the artery. This can cause angina, a heart attack or a stroke. On the other hand, drinking an excessive amount of alcohol causes raised blood pressure which is one of the most important risk factors for having a heart attack. Diabetes and poor metabolic system also affect a woman’s chance to succumb to the disease.